Last year in April, 10 months before we started our RTW (round the world) trip, I came across a recipe for brigadeiros in a magazine called Saveur, my favorite food magazine because it combines both food and travel. And their photos are amazing! 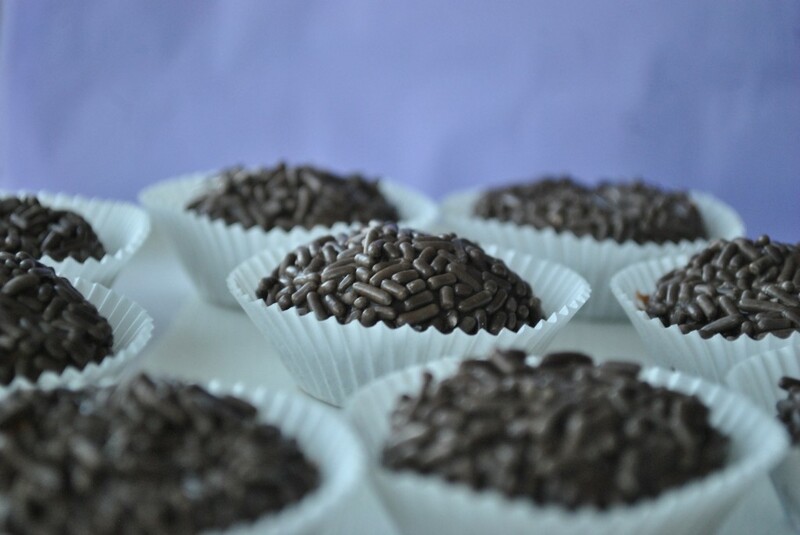 I’m writing about these brigadeiros again because here I am in Brazil where the brigadeiros are originally from! 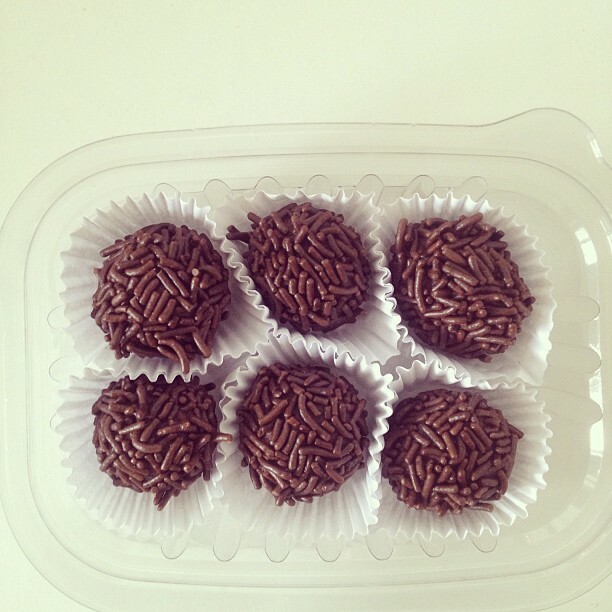 While at a grocery store, we bought a pack of 6 mini brigadeiros as seen above for 3.44 reals which is about USD 1.75. They sell them by the kilogram.